Champion Square: shared space that works, because it’s combined with filtered permeability. Finally, the Saturday evening Infrastructure Safari at the Cycling Embassy’s AGM in Bristol in May. This was led by Steve Melia, a transport and town planning academic at the University of the West of England and campaigner from the Carfree UK and Living Heart for Bristol campaigns. That latter campaign formed the theme for the safari, a short ride around the city centre looking at the big roads that blight it and the ways in which traffic reduction has already helped to make a more thriving liveable city, and the potential for further reduction. The Google Map tour is here. The basic idea of the Living Heart campaign is to cut traffic and create a liveable city centre through the careful use of selective permeability to make it impossible to drive through the city centre, without preventing anybody who has a genuine need to be there with a vehicle — residents, traders, and deliveries — from driving in and out. In a sense, they are seeking to make the best of the Bristol that the motorway mad 1960s planners left us, with its arterial motorway and inner ring road, by switching from a system which used the big roads to feed ever greater volumes of traffic into the old city streets to one which uses those main roads to remove traffic from those streets. Or, to put it another way, they would block up the ratruns, freeing them up for more suitable and useful purposes. Queen Square, before and after, from the Living Heart campaign. Compared to much of the country (and I know, that’s hardly a ringing endorsement), Bristol already has a relatively good record on creating a liveable low-traffic city centre. It started in the 1980s with strategic road blocks and short sections of pedestrianisation to close ratruns in the Old Town, at King Street and Corn Street and the like, and continued in the Broadmead shopping area with (poorly enforced) bus-only streets coupled to one-way systems which enable access while making unattractive ratruns. 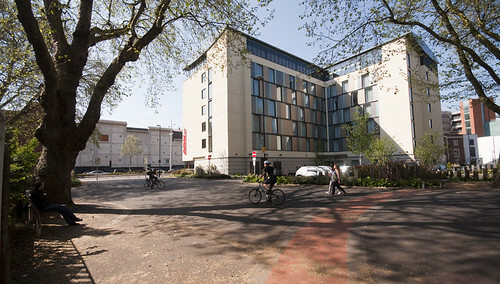 More dramatically and famously, Bristol has succeeded in rolling back some of the mistakes of the motorway mad past: the inner “ring” road dual carriageway isn’t a ring any more. Where for decades it crossed diagonally through the fine Georgian Queen Square, blighting the area so that all around was neglected and run down, it was closed amid much protestation in the mid-1990s, and the square restored in stages through the 2000s, giving the city a much loved little park and thriving commercial zone. Similarly College Green outside the cathedral has lost a main road. But the city centre still suffers from motorists trying to find a shortcut through the old streets, at times making them unpleasant places to be and to do business, and trapping pedestrians, cyclists and public transport users in the mess they create, not just fellow motorists. The campaign are not greatly attached to any one specific means of keeping this through traffic out of these unsuitable streets — there are lots of potential places where a block or a bus gate would be appropriate and have the desired effect. But they particularly point to the four bridges that cross the harbour within their ring road cordon as obvious places to consider. And they have a good local example to cite. Unfortunately we were too busy looking at railway paths to look at the city centre while in Bath. At first sight Bath, with a perpetually jammed trunk road almost through the heart, would seem an unlikely choice for a lesson on liveable low-traffic city centres, but it would have been worth looking at for the ways in which many of the old city centre streets have been reclaimed from traffic while maintaining essential access: through road blocks with pedestrian and cycle permeability, a one-way system around the historic and commercial centre which enables access for delivery vans and then sends them back to the same main road they came in on, and, of interest to Living Heart, Pulteney Bridge bus gate. Together these things create some pleasant public spaces, some streets fit for cycling, and some bus routes not completely blocked by jams of ratrunning motorists. – Promoting cycling to encourage the use of bikes and discourage car-use. Note how most of the measures are about reducing and removing access by motor vehicles. The key to increasing cycling is reducing motor traffic, the cycle tracks are the follow-up measures. I’m going to post the comment here, because it seems to be a very common mistake, and one that needs to be laid to rest. Er. Not quite. All of the measures are “key”; none of them are “follow-ups”. They are the different solutions that apply to different situations. The British seem desperate to put things in a hierarchy. It’s completely the wrong approach, and it’s certainly not the Dutch approach. In some places — residential streets and city centres — we need to reduce traffic speed and remove vehicular access. In other places — main arterial roads and other places with high traffic volumes and/or large vehicles — we need to reallocate space for cycle tracks. You start from the specific problem, not the preferred solution. That is the key to increasing cycling. Knowing what needs to be done in each situation. I’ll use this opportunity to expand on this point about putting solutions into hierarchies a little. In Britain we have a “Hierarchy of Provision”, which recommends some types of cycling provision as preferable to other types. It was developed by the DfT and CTC in 1997, is still endorsed by many cyclists (sometimes enthusiastically so) as well as officials, and is part of the design guidance for cycling infrastructure — Local Transport Note 2/08 — upon which the nation’s Crap Cycle Facilities are modelled. This is, as my lost comment says, approaching things the wrong way around: bringing a set of pre-ranked preferred solutions to a road and trying each one in turn to see which one fits. 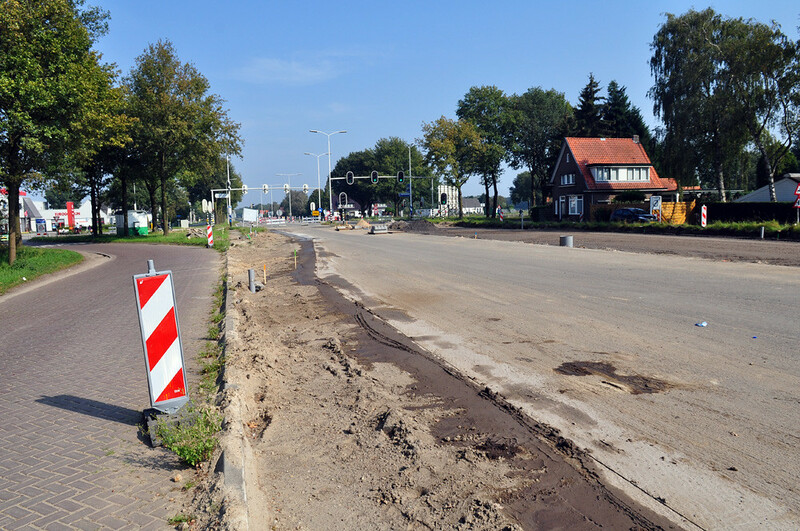 The correct approach — the one that the Dutch apply — is to start with the purpose and properties of a road: whether it is the main A-to-B road, or a little residential or access street; whether it needs to carry big dangerous trucks and buses; and so on. Once you’ve answered those questions, there is no need to try different solutions on for size: when you understand the problem, the appropriate solution follows. 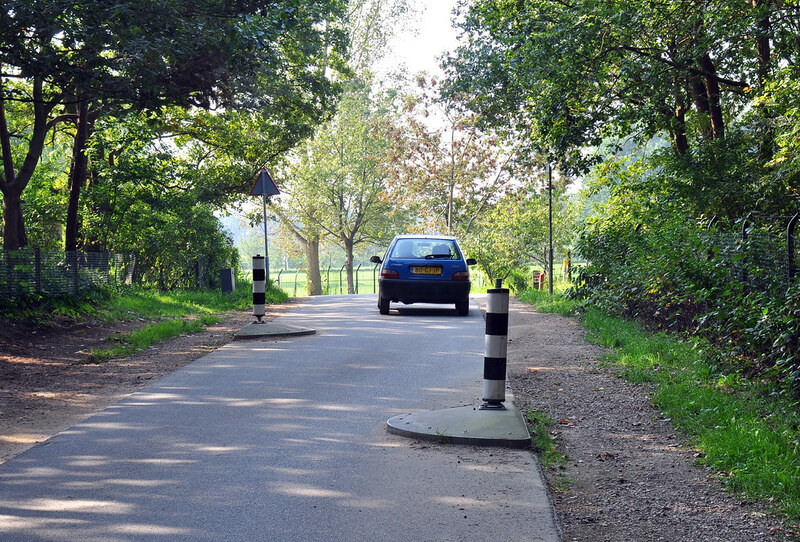 For many years in the UK there was a Hierarchy of Provision way of thinking, which led, and still leads, to some absurdities, such as the idea that in the Netherlands cycle tracks are a “follow-up measure”. When the Cycling Embassy of Great Britain came along and made the then heretical statement that, actually, for some kinds of roads, we should be asking straight-up for Dutch-style cycle tracks instead of trying to apply one preferred top-of-the-hierarchy solution to every road in the country, this entirely sensible position was often misunderstood. Unable to think outside The Hierarchy, the embrace of cycle tracks was interpreted as an attempt on the crown: to put cycle tracks at the top of The Hierarchy and to campaign exclusively for the construction of segregated cycle paths alongside every inch of road, lane, street and cul-de-sac in the country. @carltonreid Nobody has said or is saying that though? Campaigners seem to be growing more comfortable advocating the full breadth of solutions in the Dutch “Sustainable Safety” package, but even when doing so in the Xmas edition of their magazine, the London Cycling Campaign can’t stop thinking in hierarchies: “the Dutch mantra is mix if possible, separate when necessary,” they say, as if the Dutch have a hierarchy of “consider first: mix”, “consider last: separate”. 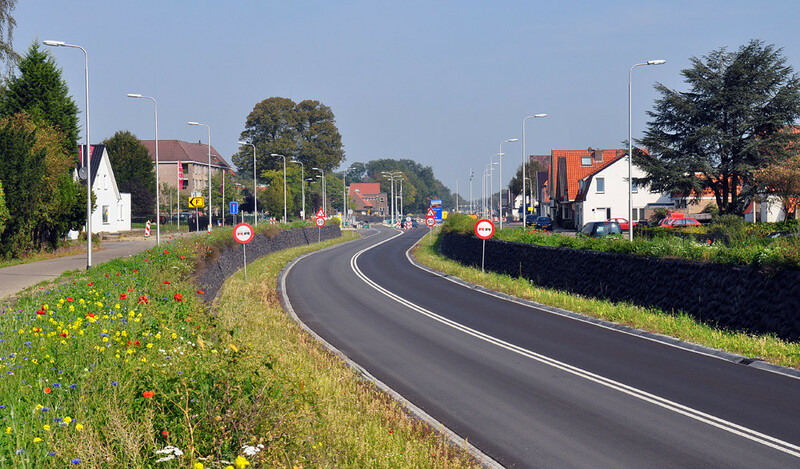 But as the LCC magazine says elsewhere, the Dutch “start by deciding the function of a road, and from this flows the design.” On a busy trunk road they don’t first consider mixed traffic. But not everybody has quite come to terms with it all yet, and in attempting to reconcile the comprehensive and detailed Dutch solution with the crude and uncomplicated British hierarchy approach, it seems that many have had to resort to what MCRcycling calls the Dutch pick and mix: we’ll pick the filtered permeability to put at the top of our hierarchy, and campaign for that one, thanks. Over the past couple of years, the breadth of the successful Dutch approach to street design and cycling has begun to be explained and appreciated in this country, thanks initially to the likes of David Hembrow’s blog, Mark Wagenbuur’s videos, and occasional articles like this, and recently spread even further by the Dutch Cycling Embassy and London’s Go Dutch campaign. The activity stirred up by The Times CycleSafe campaign will, I hope and expect, lead to its much wider dissemination. I imagine that attempts to arrange the continent’s engineering into a hierarchy of provision will keep people occupied for a while yet. This post is part of a series, starting at “What would you do here?”, on making utility cycling attractive in rural Britain. In the Netherlands, children cycle to school. Almost all of them. Unaccompanied from the age of 8 or 9. You only wouldn’t cycle if you lived so close that it’s quicker to walk, and even then you might cycle sometimes anyway, so that you can go places with friends afterwards. Children there are fitter, healthier, and freer, less dependent on the parents’ taxi service. British authorities talk a lot about wanting children to walk and cycle more and to be ferried around in parents’ cars less, but have so far done little that has actually succeeded in making that happen. What would it take to make cycling to school possible in our rural British case study subject? The cycle route here followed a series of short access streets parallel to the main road — non-through routes for motor vehicles but which are joined up with cycle tracks. I imagine that this lane is normally little used. It runs parallel to the main road and doesn’t connect much other than the few properties here. So it’s interesting that the verges are so bare — what has killed the grassy edges? In addition to being the official bicycle diversion, quite a few motorists had discovered that it also makes a through route for cars, and they were determined to push their way through. Perhaps it was a self-selected sample of bad drivers — they were, after all, choosing to ignore their own diversions and instead ratrun down the country lanes. 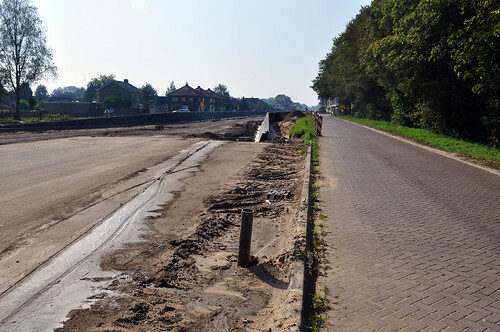 It was one of the few places in a 1,000km where being on a bicycle was anything less than completely comfortable and relaxed, and it destroyed the illusion that Dutch motorists are more considerate and better behaved than the British. According to a Google Translate of the council’s project page, they’ve reduced it from two lanes to a single lane in each direction, cut the speed limit to 50kmph, and put on a quieter surface — all measures to cut the noise pollution in this suburb. But the other thing they’ve done is built those walls: stone walls facing the main road, with gentle grassy banks facing the parallel bicycle/access streets and houses behind, another noise abatement feature. It’s a bit odd. I’m sure it’s preferable to having a 100kmph dual carriageway outside the front door, but it still looks like a funny sort of place to live. This post is part of a series, starting at “So what would you do here?”, on making utility cycling attractive in rural Britain. A common objection to dedicated cycling infrastructure is the size of the British road network. You can’t put cycling infrastructure on every road in the country, therefore you shouldn’t put it on any. I disagree, not just with the conclusion, but with the premise too. We can put cycling infrastructure on every road in the country. It just depends on the definition of “road”. 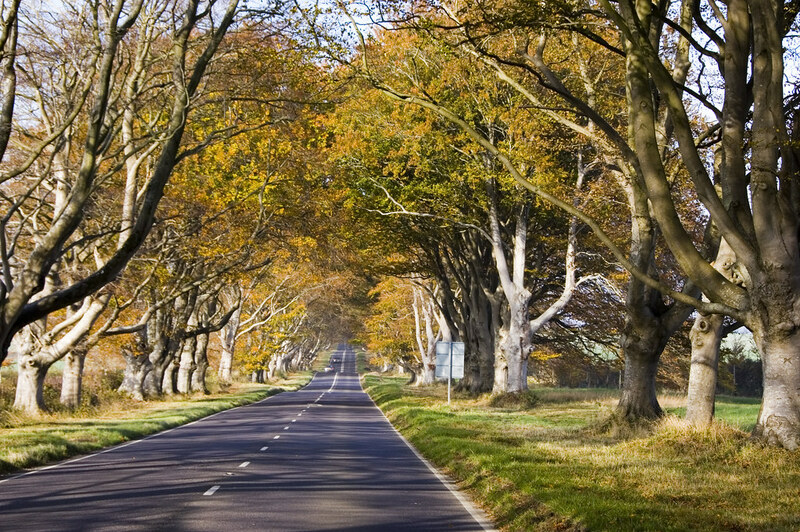 Country lanes like the one below, a narrow 4km long link between the north-south A357 and the east-west A30, are currently “roads” — used primarily to get motor vehicles from one place to another. 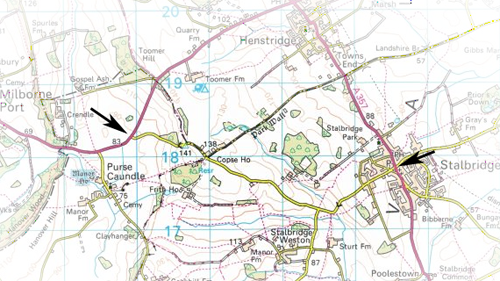 How could you separate bicycles and motor vehicles here without demolishing buildings, cutting down hedges and paving over the countryside? This post is part of a series, starting at “So what would you do here?”, on making cycling an attractive mode of transport in rural Britain. The Dutch model of making cycling attractive and popular is known for the policy of providing high quality dedicated cycle tracks alongside roads. What, all roads? Yes. Pretty much all roads. 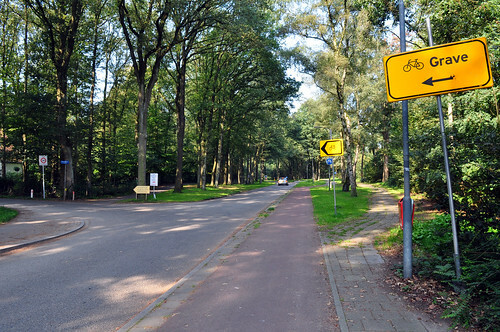 But the crucial detail is that the Dutch make a clear distinction between roads, country lanes, and town streets. 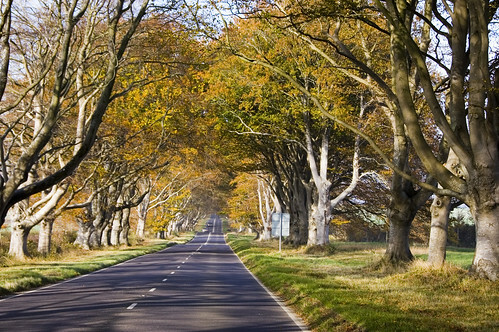 The roads — equivalent to Britain’s ‘A’ roads and some ‘B’ roads — have cycle tracks. 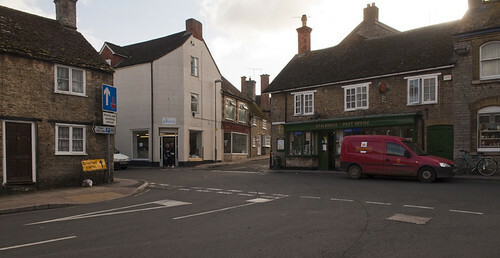 The country lanes and town streets are treated differently — the subject of posts later in the week. The Dutch concede that roads (roads, not lanes or streets) are for motor vehicles: for getting people and goods from one place to another quickly. That concession is a great bogeyman to many British cyclists, but the reality is that most British people have also conceded that roads are also for vehicles: they will never cycle on them, just as they long ago gave up walking on them, riding horses on them, and letting their children play on these roads. To solve that problem, we could either build high-quality dedicated cycling infrastructure, so that there would be no need to mix with the fast cars and big trucks, or we could calm, slow, and the reduce the numbers of cars and size of trucks, reclaiming the main roads. I think I know which one of those is more achievable and politically acceptable.